Are you using proxies for Instagram marketing only? Or maybe you are not aware that they can be useful in various ways? Today, proxies are also used by businesses such as internet marketing firms, to supplement their entire data handing competences. As it is today, the internet is a vulnerable space since it is full of viruses, malware, and hackers. Most of the time proxies are used primarily for business setting; however, they can be used in a home setting too, especially, when you as a parent want to restrict the amount of offensive material your children have access to. A proxy server acts as a middleman that helps you to be anonymous while browsing the internet. 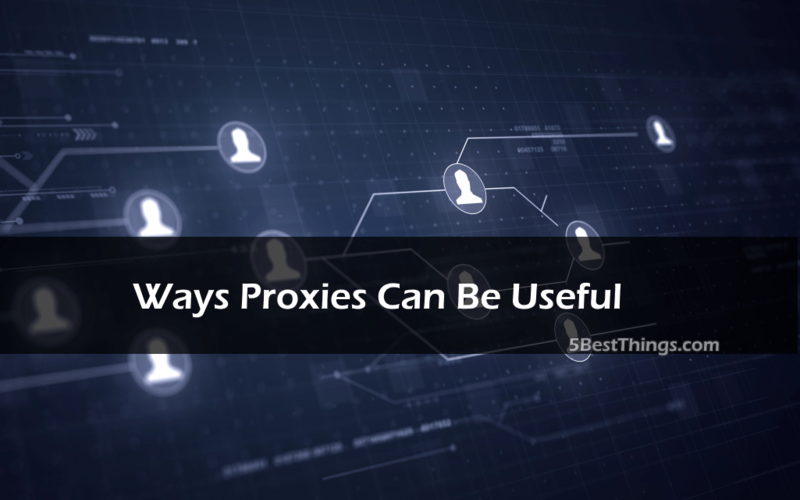 Additionally, proxies’ help to do many things while your search or use the internet but the most important situation where a proxy can be helpful is when you are subjected to an IP block. It will allow you to access a blocked server for instance when you are restricted to access a gaming server and the server blocks your IP, it is possible to log back when you use proxies to sort out the problem with the customer care or even sort out other issues that may crop up. Anonymous, is the word commonly used when someone is browsing the internet without being known or without being vulnerable to hackers. Proxies are good when it comes to anonymizing web traffic. However, a good number of business owners haven’t realized just how important this is for their businesses. Journalists, whistleblowers as well as security personnel depend on the additional identity protection that comes with proxies to shield themselves. It is also possible to protect any recent research and development as well as other companies operations. When you incorporate the use of proxies in your company, any potential spy trying to track web traffic to find out the activities of your business, will not be able to spy on your employees’ activities. Also, any sensitive task that you do over the internet is more secure when you anonymize it by using proxies. How do you feel when you are in dire need of a website and you find out that the website is going down? You get frustrated, right? Nothing frustrates a visitor quickly than a website going down when they really need it. With proxies in place chances of a situation like this happening is very minimal, sometimes none. As more and more serious cases being reported of companies website being hacked and important information interfered with today, no company wants staffs visiting unsecured or unsuitable sites on company networks and this is why numerous internal networks are operated on proxies. When proxies are incorporated in a network, it is easy for network administrators to control which gadgets have access to the network and which website the gadgets can access. Also, it’s easier to block unwanted content and any sites that are not suitable for your employees during company time.